Instructions: Mount these two pages on heavy white paper, then cut out the picture pages on the broken lines. Punch holes along the sides of the pages as marked. 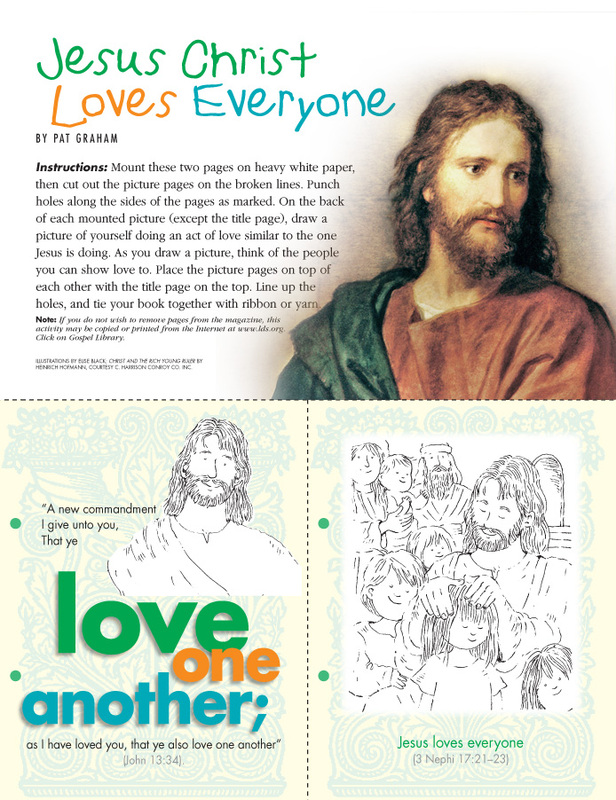 On the back of each mounted picture (except the title page), draw a picture of yourself doing an act of love similar to the one Jesus is doing. 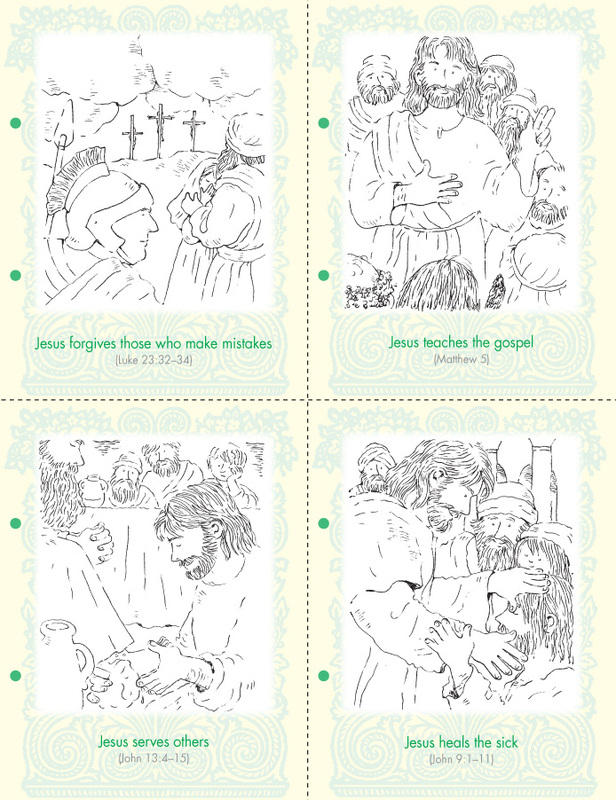 As you draw a picture, think of the people you can show love to. Place the picture pages on top of each other with the title page on the top. Line up the holes, and tie your book together with ribbon or yarn. Christ and the Rich Young Ruler by Heinrich Hofmann, courtesy C. Harrison Conroy Co. Inc.